We are the owners of the lovely Domaine Le Moulin de Lande since early 2010. The beautiful and varied county of the Ardèche with its many possibilities, the old water mill with authentic cottages, the quiet surroundings in the middle of nature plus the little river flowing across the terrain attracted us to this place. We live in the old water mill on the domaine with our daughter; our son is studying abroad. Theo works full-time at the domaine. 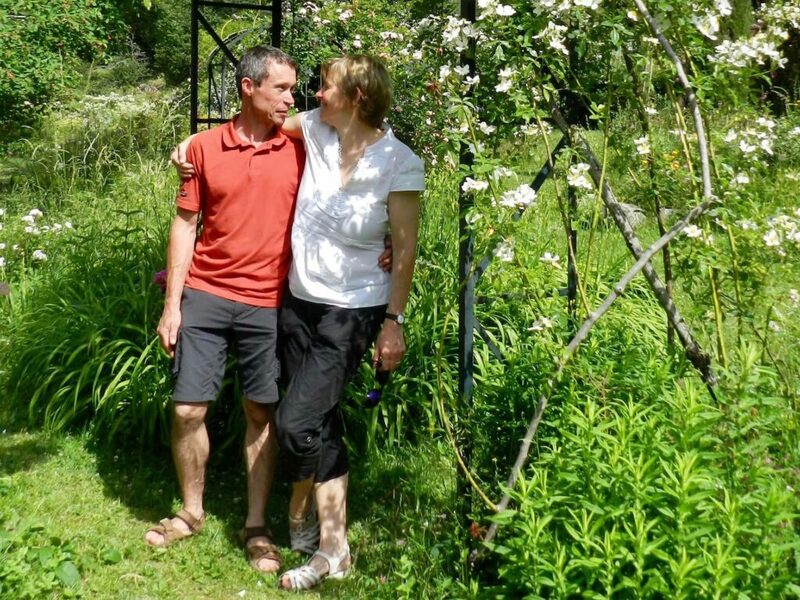 In his spare time, he does online translations, develops the website of Le Moulin de Lande and develops apps for Apple iOS, such as L’Ardèche du Sud. Céleste combines work at the domaine with work as a general practitioner. We enjoy offering our guests a great vacation and helping them to find the special spots and activities of the Ardèche. During our time off we like to go walking or rock climbing. In winter time you may come across us on snowboards, skis or cross-country skis. Céleste enjoys making jams with the many types of fruit growing at our domaine. If you would like to know a bit more about things growing or walking about, you can always ask Theo, who is a biologist. We speak English, French, Dutch and German.